Australia is a dynamic and vibrant country with much to offer. Choosing to come to Australia to further your study will provide you with many opportunities, not to mention a whole new view of the world, an endless variety of new and wonderful experiences, and exciting and progressive education programs. In Australia you will experience a unique kind of education - a learning style that encourages innovative, creative, independent thinking. You build valuable skills to give you an advantage - academically, personally and professionally. When you study in Australia, you discover fresh challenges and new experiences everyday. Over 250,000 students from 195 countries chose to study in Australia. Australia provides a unique kind of education and a learning style that encourages you to be innovative, creative and think independently. Australia attracts the third largest number of international students in the English-speaking world after the USA and UK. 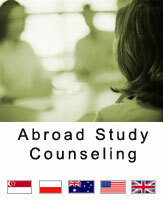 In some countries Australia is the students' first choice study destination. Australia offers an education experience that makes a real difference. Graduates from Australia are very successful in finding jobs and hold prominent positions worldwide. Additionally, they are readily accepted for postgraduate study at leading international universities. Australia is a dynamic, vibrant country and its people are energetic, friendly and confident. Multicultural Australia is a safe, friendly, sophisticated and harmonious society in which students can learn and travel in an English speaking country. 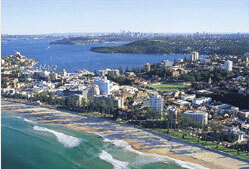 Australia also offers excellent value for money and a standard of living which is among the highest in the world. Living expenses and tuition costs in Australia are considerably less expensive than the UK and USA. Multimedia and many PR leading courses.